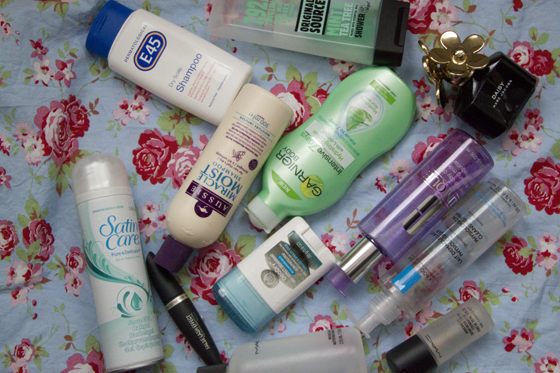 I finally had a chance to do an empties post, I wanted to do it for so long, but I hate collecting empty things. I normally just want to throw them away straight away. Personally I love reading empty post, it's makes more sense, as you know that the person had actually used the products. They can also give you honest opinion, as sometimes at the beginning you may like a product and then everything can change. I'm pretty good at using up stuff, mostly skincare/body care ones. The make-up products are more difficult to use up. So here are the products which had been used up recently. I normally share Hair/Body Care products with my mum. E45 Dry Scalp Shampoo: I have very dry scalps, so I always look for good moisturising shampoo, I got few recommendation to try out this one. To be honest it didn't work with my scalps and my hair. It's scent less, which I'm okay with, as my conditioners always add some smell to my hair. The product was very runny, which meant I had to use a lot. It didn't cleanse my hair very well, they also had been getting oily faster. So I decided to use it up on washing my make-up brushes. I'm glad it's finally gone. 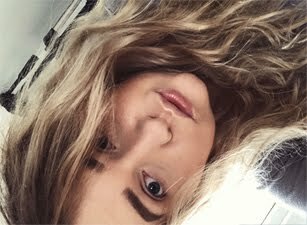 Aussie Miracle Moist Shampoo: Aussie shampoos are something that I wanted to try for ages, I normally go for they treatment. This Shampoo is just like the others, doesn't done much to my hair. They were more frizzy whenever I used it. The smell was something that had putted me off the most. Even the conditioner haven't killed it. I know that some people like it. I don't think I will re-purchase. La Roche Posay Physiological Cleansing Milk: I love La Roche Posay products, so I'm always looking to try something new from the brand. The Cleansing Milk is for very dry to dry skin, which of course I don't have. 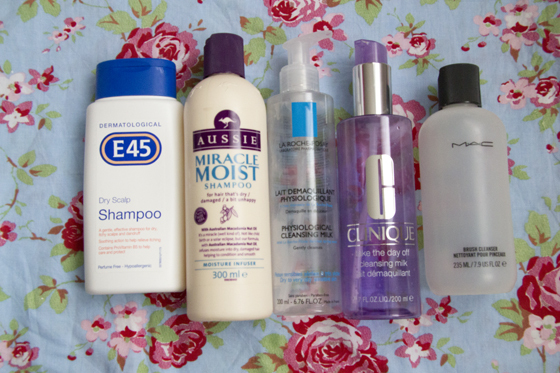 This products should be used to remove make-up, even waterproof mascara. Did it do that? No! Firstly I don't even wear waterproof mascara and I only wear two layer of mascara. When I applied this on cotton pad and then tried to remove my eye make-up, all I felt is pain. This thing had been burning my eyes, but I still gave it a go to try and see if it would remove my eye make-up, the mascara didn't even move from my eyes. It took off some foundation, but not much. You also don't need to rinse it, in my opinion you have to, as it's leaves your skin very greasy. I will never re-purchase this. Clinique Take the Day off Cleansing Milk: Another Cleansing Milk, why do I even buy them? Most of them don't even work on my skin. This is another useless product in my opinion, my skin didn't really accept it as it had broke my out whenever I tried to use it. It had burned my eyes, it had taken of some of the foundation, but my face still wasn't clean enough. This product smelled to me like paint. Will not re-purchase. So far all the products that I mention didn't work for me, I could have saved so much money. MAC Brush Cleanser: This is my favourite brush cleanser, it always makes my brush very clean and it's removes all the dirt from my Sigma F80 brush, as some of the baby shampoos won't really make it very clean. I will repurchase this, it's worth every penny. The Body Shop Dry-Effect Deodorant: Before this one I used to use the Rose Scented one and I really liked it. This one didn't really work for me, I didn't feel the protection, and sometimes the nasty smell would come through (I hardly ever get it). I like that it's dry, but I just didn't really work for me. Garnier Aloe Vera Body Lotion: This is my all time favourite body lotion, as well my favourite scent, as it's really fresh. I have full review on this here. I went through 6 bottles already, I had tried the gel version of this, but I didn't work as well as this version. Original Source Mint and Tea Tree Shower Gel: During summer I love refreshing shower gels scents. This one was amazing to use in the morning, it always made me feel more awake. I'm not a fan of Original Source shower gels as they are very runny, but I love the scents. I'm a Body Shop Shower Gels girl. Gillette Shaving Gel: I use this to shave my legs, I normally grab any Shaving gel. This one worked really well, it didn't make my skin turn dry or anything. I liked the scent. I always go use up shaving gels pretty fast, I think I finally going to go for waxing. 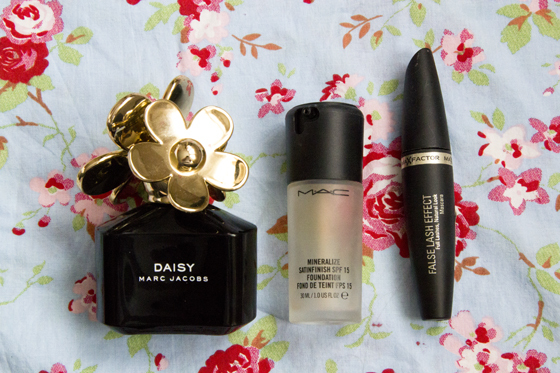 Marc Jacobs Daisy: This is my favourite summer perfume! This bottle had last me for around a year. The bottle is so pretty, I decided to keep it and have it on my desk. If I will have the money I will buy another bottle. MAC Mineralize Satinfinish Foundation: My first MAC foundation and the worst foundation I had tried so far. I have no idea how I managed to use it up. It was very thick, difficult to blend. MaxFactor False Lash Effect Mascara: My all time favourite mascara. I use mascara on daily basic and I normally have one each time. So they won't dry up. I decided to try something else and I went for MaxFactor 2000 Calories Curve Mascara, and it's makes my lashes look amazing! I love False Lash Effect and I will defiantly go back to it, at some point. The brush was one of my favourite, as it was easy to work with. Great post! Some great products there! 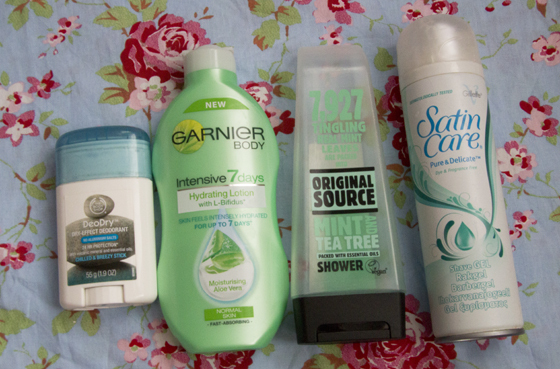 You used up so much, I love the Garnier moisturisers too they're so nice and I love that the bottles aren't huge with a pump so they're good to travel with!